Designation will give more visibility to two-story dwelling in Hope, Ark. 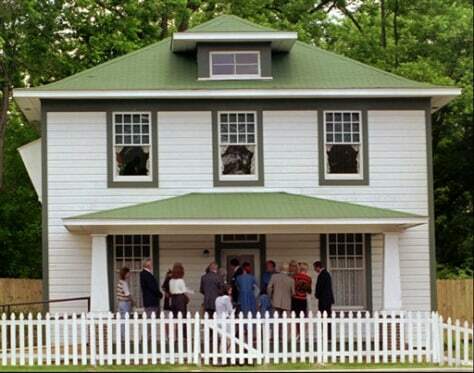 Visitors wait in line to enter President Clinton's birthplace home in Hope, Ark. The home is a national historic site.